Zhou Xun and a group of five people went by car over 100 km to the sun village in Beijing. They brought a lot of gifts which were put on four big boxes. Zhou Xun and the staffs of the village shared happiness with children when they together enjoyed Kentucky Fried Chicken. 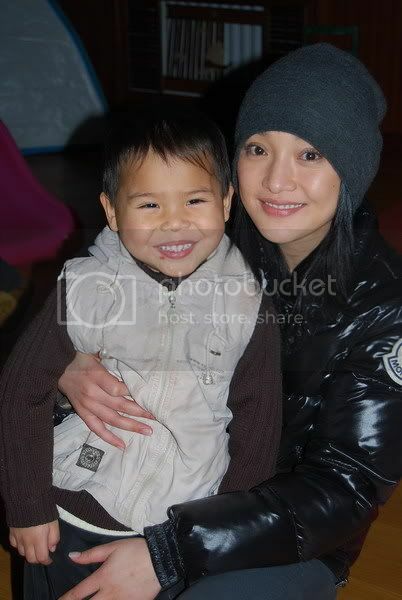 In every new Lunar year Zhou Xun spends time on visiting children in the sun village, gives them gifts and blessing. Mrs Zhang who is responsible for the village said that Zhou Xun is a woman of great of compassion. Because of her, many people pay attention to their village. For special children here Zhou Xun is a beautiful elder sister. Whenever hearing that she will come to see the village, children are eager to prepare small gifts and hand-mad cards for her. It was reported Zhou Zun often welcomes new lunar year with her family in Beijing. After this Spring Festival, she will be busy with the new movie directed by Hark Tsui "Women are not bad"